15.04.18 09:57;Account;Receive;Received Payment 8.4 USD from account U15188630 to account U1294000. Batch: 211601675. Memo: API Payment. Withdraw to allhyips from www.coinpot.biz. 17.04.18 19:41;Account;Receive;Received Payment 8.4 USD from account U15188630 to account U1294000. Batch: 211840438. Memo: API Payment. Withdraw to allhyips from www.coinpot.biz. 20.04.18 10:56;Account;Receive;Received Payment 8.4 USD from account U15188630 to account U1294000. Batch: 212079082. Memo: API Payment. Withdraw to allhyips from www.coinpot.biz. 19.04.18 13:21;Account;Receive;Received Payment 8.4 USD from account U15188630 to account U1294000. Batch: 212000773. Memo: API Payment. Withdraw to allhyips from www.coinpot.biz. 20.04.18 19:45;Account;Receive;Received Payment 8.4 USD from account U15188630 to account U1294000. Batch: 212117644. Memo: API Payment. Withdraw to allhyips from www.coinpot.biz. 21.04.18 19:33;Account;Receive;Received Payment 8.4 USD from account U15188630 to account U1294000. Batch: 212195726. Memo: API Payment. Withdraw to allhyips from www.coinpot.biz. 23.04.18 10:47;Account;Receive;Received Payment 8.4 USD from account U15188630 to account U1294000. Batch: 212322277. Memo: API Payment. Withdraw to allhyips from www.coinpot.biz. 24.04.18 11:11;Account;Receive;Received Payment 8.4 USD from account U15188630 to account U1294000. Batch: 212422581. Memo: API Payment. Withdraw to allhyips from www.coinpot.biz. 24.04.18 20:50;Account;Receive;Received Payment 8.4 USD from account U15188630 to account U1294000. Batch: 212480145. Memo: API Payment. Withdraw to allhyips from www.coinpot.biz. 26.04.18 19:30;Account;Receive;Received Payment 8.4 USD from account U15188630 to account U1294000. Batch: 212677094. Memo: API Payment. Withdraw to allhyips from www.coinpot.biz. 25.04.18 21:59;Account;Receive;Received Payment 8.4 USD from account U15188630 to account U1294000. Batch: 212585981. Memo: API Payment. Withdraw to allhyips from www.coinpot.biz. 29.04.18 10:48;Account;Receive;Received Payment 8.4 USD from account U15188630 to account U1294000. Batch: 212905400. Memo: API Payment. 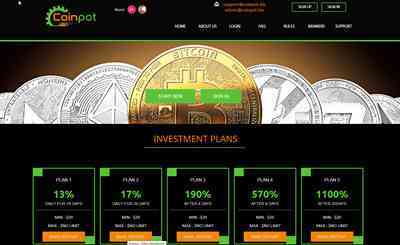 Withdraw to allhyips from www.coinpot.biz.